Our fine tool steel Pro-Claw™ Nail Pullers are Japanese pattern design, drop forged and tempered for extra durability. Both nail puller claws are precise and sharp to remove imbedded or headless nails with ease and will grab nail shanks to pull finishing nails through removed molding to minimize damage to molding. 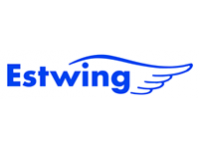 Estwing PC210G 9 in. Nail Puller with Blue Cushion Grip Blue Cushion Grip Drop-forged and tempered tool steel Approximate Weight 9oz Approximate Overall Length 9 in Estwing PC210G 9 in. Nail Puller Specifications: Item: Nail Puller Overall Length (In. )9 1/8 Thickness (In. )1/4 Features Rounded Head for Leverage Material ..
Estwing MP300G 12-1/2" Pro-Claw Moulding Puller Moulding And Nail Puller Length 12 1/2 In, Width 2 3/4 In Drop Forged Steel Construction High Gloss Finish Rounded Head for Leverage Pulling, Scraping, Positioning, Aligning Nails And Moulding ..
Bar length (in.) : 10 Color Family : Silver metallic Depth (in) : 1.25 in Hand Tool Type : Wrecking/Pry Bar Height (in) : 10.75 in Manufacturer Warranty : Lifetime against manufacturers defect Number of nail slots : 2 Product Depth (in.) : 2.5 in Product Height (in.) : 10 in Product Width (in.) : 3.8 in ..